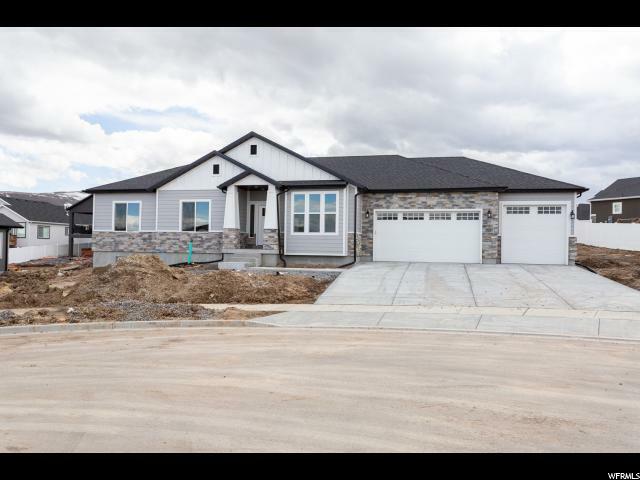 All PRAIRIE OAKS PHASE 6 homes currently listed for sale in Herriman as of 04/18/2019 are shown below. You can change the search criteria at any time by pressing the 'Change Search' button below. "MOVE IN READY DAKOTA HOME!! This layout has it all!! Open concept with a huge gourmet kitchen and oversized island, huge vaults, 9 foot basements, oversized walk in closet, euro glass, under mounted sinks, fireplace, OVERSIZED garage, 6 inch exterior walls, front living room, walk in shower, his and her vanities and an oversized tub, 96 eff furnace, 50 gallon water heater and SO MUCH MORE!! Come take a look for yourself!! Call or text Neena Medrano with Camden Real Estate with any questions! Come to our model Home around the corner WHICH IS ALSO FOR SALE!!"